It is the end of the dry season and the fields are heavy with grains, the stalks rustling in the wind like a sea of grass. Higher up the valley, the terraced paddy fields give way to thick deciduous woodlands interspersed with coffee plantations. At this altitude the air is clear and the breeze has a fresh edge to it. It reminds me of British summers spent walking through the countryside of Devon and Cornwall. Everything is green, lush, fertile and vibrant. 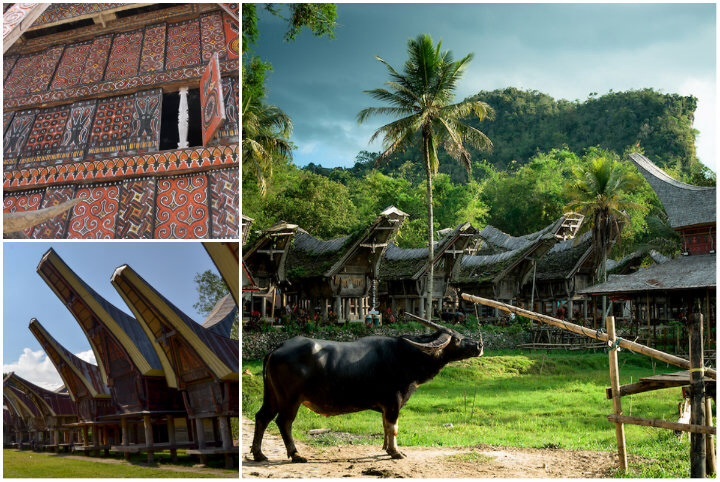 The incredible landscape makes Tana Toraja a popular tourist destination. It is easy to forget that this very landscape protected the culture and peoples of Toraja from the outside world until late into the 20th century. The mountainous terrain, steep valleys and thick forests which are so beautiful to look at made the region difficult to access. It was only as Islam spread through the lowlands of Sulawesi that Dutch missionaries, supported by the VOC, pushed into Tana Toraja and sought to convert its people to Christianity. 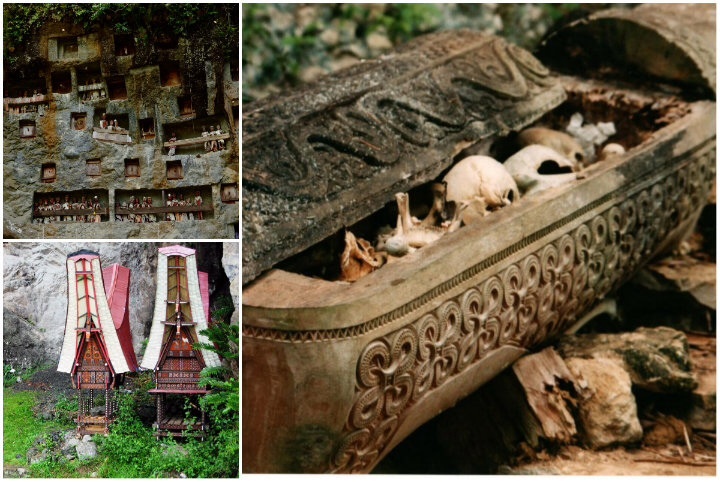 The lavish funerals in Tana Toraja have now become a tourist attraction. 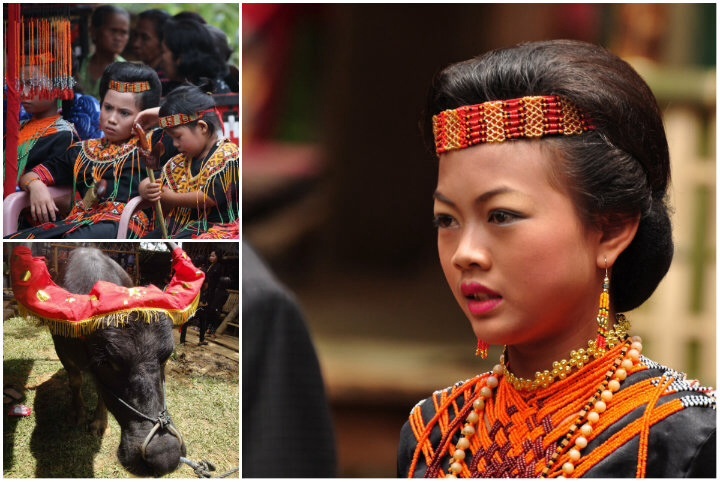 Today Tana Toraja is a place that struggles to find and maintain a balance between its traditional local culture and the changes that are happening around it. The lavish funerals, that can cost tens of thousands of dollars, have become tourist attractions. Snaps from child cemeteries appear in holiday albums and crypts sit next to shops selling trinkets to tourists. Crypts and graveyards are all popular with the tourists. Away from the crowds, black magic and local shamans hold sway over much of the rural population. Hundreds of bulls are slaughtered at government sponsored festivals, Christianity is preached in churches whose designs are inspired by animist architecture, while large mosques are popping up all over the countryside. Traditional beliefs and mainstream religion mix in the countryside of Tana Toraja. Agree THE HIGHS AND LOWS OF TANA TORAJA It is the end of the dry season and the fields are substantial with grains, the stalks stirring in the wind such as an ocean of grass. It is anything but difficult to overlook this very scene secured the way of life and people groups of Toraja from the outside world until late into the twentieth century. The precipitous territory, steep valleys and thick backwoods which are so lovely to take a gander at made the district hard to get to. It was just as Islam spread through the marshes of Sulawesi that Dutch teachers, bolstered by the VOC, pushed into Tana Toraja and tried to change over its kin to Christianity. Thanks for the additional information and sharing the views about of visit.. very beautiful place I m so glad to know this blog. and got more information..such a beautiful place.The incredible landscape makes Tana Toraja a popular tourist destination.